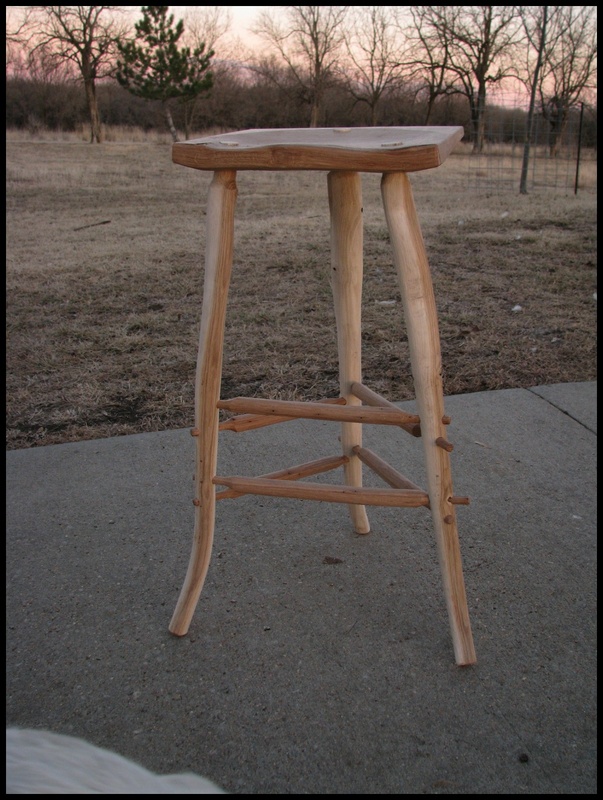 The stool declared loudly by snapping every black walnut rung I made- that it must be white oak throughout. OK, says I, you win. 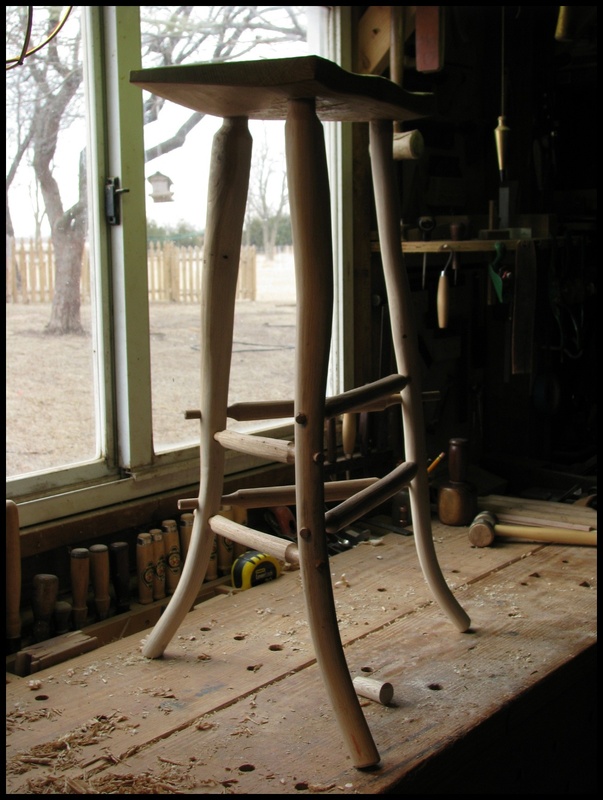 Still much work to be done, however, as of yet the most complete sense of a stool that has pretty much dictated itself, and made me sweat in the process, and I still have to build his hopefully less mercurial brother. Below: shaping the underside of the seat. WHat kind of axe is that?? 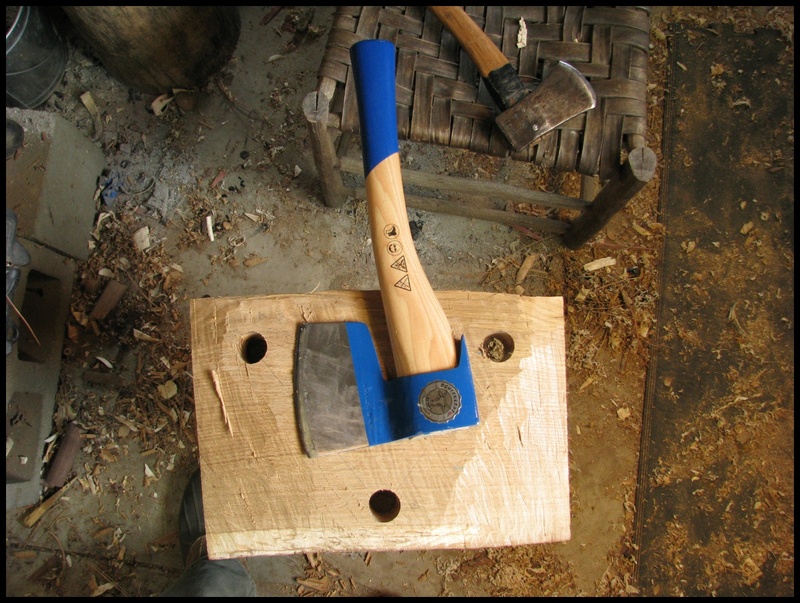 Dan, it is a type of hewing axe. It is flat on one side and beveled on the other, the handle is offset as well. 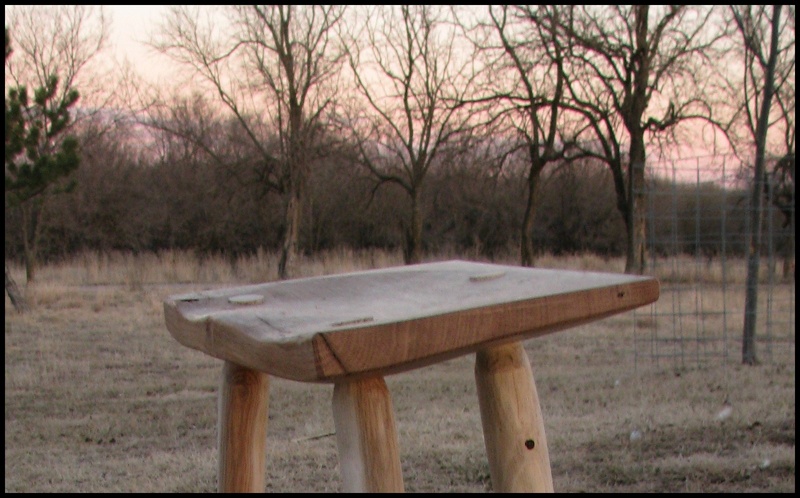 It is designed for flattening stock. The brand is Oxhead from Germany. I hope that this helps. My dad has an old Plumb like the one you linked to. I have always liked it, long history- he has had it as long as I can remember. I like the Oxhead, but it needs a little work, The handle is a little too heavy near the bit and the claw on the back is a mystery to me, and in the way, so off it comes. 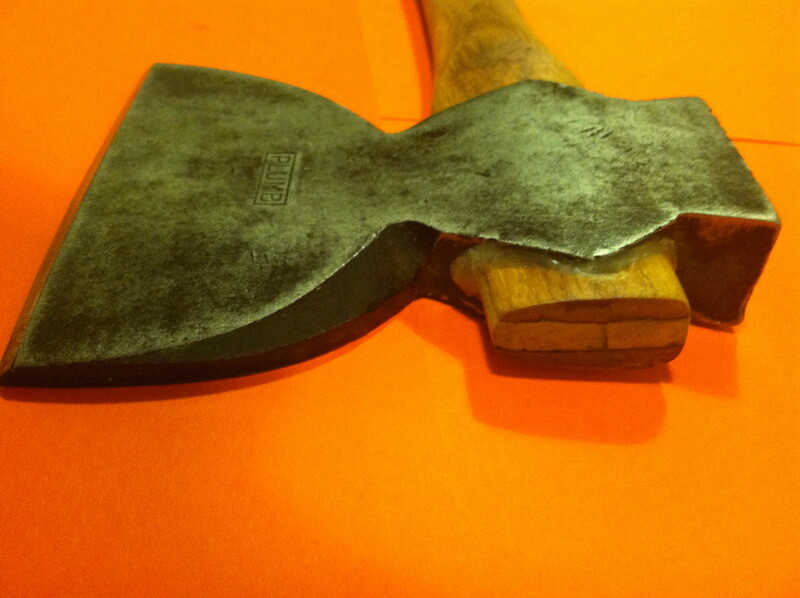 I ruined myself for axes when I bought a small carpenters axe from Gransfor Bruks. It isn’t worth comparing, but neither is the price. Peter Follansbee commented about the Oxhead feeling a bit off, and I can see his point. I can make it perform, same as the plumb. I’d go with the kentish plumb if I had to do it over. The Oxhead is just a bit too ham-fisted- or clunky and heavy for what I end up using it for. behind the blade, almost like whittling. so the Oxhead was tempting. I was just looking at Coperthwaite’s “democratic axe” yesterday morning. You should give it a try and let me know what you think. I was also played a bit with the oxhead. I really don’t think it is bad, and the “beard is nice. It just needs some adjusting to get over it’s clunkiness, and the little bit of a back-bevel the factory put on. 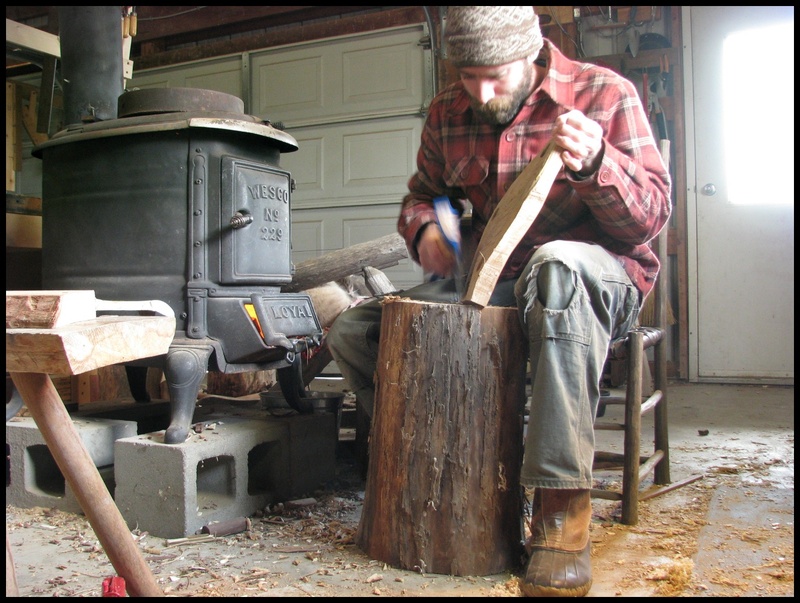 It is a heavy tool for one handed use, and I have pretty decent fore-arm and hand strength- but some of the modifications would reduce that weight at least a little. Maybe I should build the democtratic axe as well.